manual, automatic, complicated and antique watches. Family owned and operated, Universal's goal from the beginning has been to provide the finest quality & most comprehensive watch service possible. 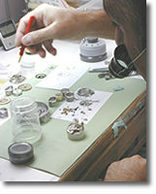 Universal Watch Repair services and restores all types of modern and vintage timepieces, specializing in difficult repairs and complications. 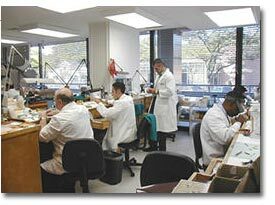 Watch Collectors, Vintage Dealers and watch manufacturers worldwide. complex or impossible to repair due to lack of parts; they rely upon Universal.